Today’s connected culture has granted us a great many conveniences and abilities which were essentially considered science fiction in the not-too-distant past. For instance, there’s video calling. What was once a novel idea has matured into a lauded tool in every traveller’s ‘backpack.’ As it becomes more common for young people to live abroad, holding ‘Skype sessions’ has evolved into a prevalent pastime for expatriates as well as their loved ones at home. There’s always someone Skyping, whether it be across a few blocks or across an ocean; thus giving birth to a new verb, (See: Skyping), an always-active network of video calls, and a new generation of world citizens with an alarming understanding of time zones. “Me: Describe something you encountered that you overlooked in the planning phase. And not so long ago, within that web of video calls, were two adventurous souls planning a three week trip to the Himalayas. In August of 2014, two best friends began planning an adventure of a lifetime over Skype. At the time, one of the two— Lua— was on the path to finalizing the preparations to open her new gym in Toronto. Amidst the cacophony of meetings, dealings, and the usual fix-its of getting Toronto’s first Surf-inspired gym up and running, she was also painstakingly planning her excursion to one of Earth’s most iconic natural landmarks: Mt. Everest. Three months of late-night video sessions later, (her best friend was teaching in a different time zone), she left her West-side apartment for what would be three weeks of the most fulfilling adventure she’s had in life. Her trip began with a bit of a mile-high hustle. First they flew into New Delhi, then to Kathmandu. They arrived there at 6am and within an hour they were in the air to their final destination before the hike, (Lukla), on what could be considered the world’s tiniest commercial aircraft. The ‘plane’ was a sight to behold. According to Lua, the aisle was two feet wide and on either side were four rows with one chair each. 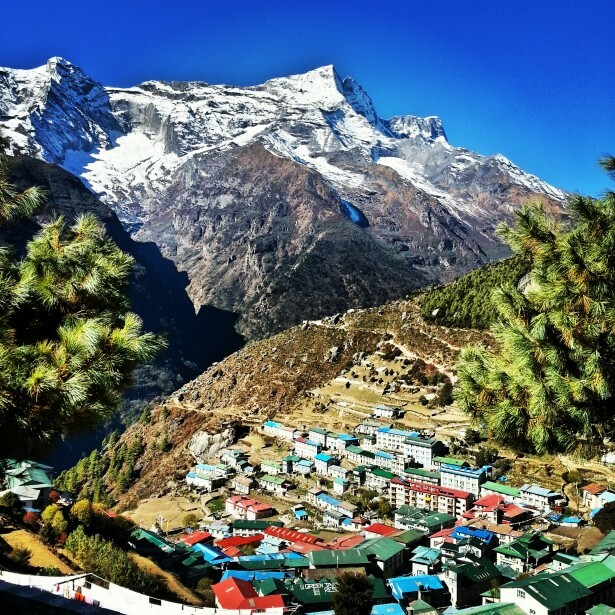 Upon approach to Lukla, their tiny wonder of the world landed on a runway with a 30-degree incline; sherpa guides were out and about, holding hand-written signs, and waiting for their tour groups. There was also a short wall, above which was a fence against which a collection of local men lined up, waiting to be called up either to transport goods or act as a porter. Lua and the other would-be tourists grabbed their belongings and were herded through a small gate, past the fence-men, and towards a lodge. There they were able to buy last-minute supplies, get to know their sherpa over tea, and were briefed over the details of the next week and a half of their lives. When asked about the more undesirable aspects of the trip, Lua mentioned the teahouse facilities, or more accurately: the smell. 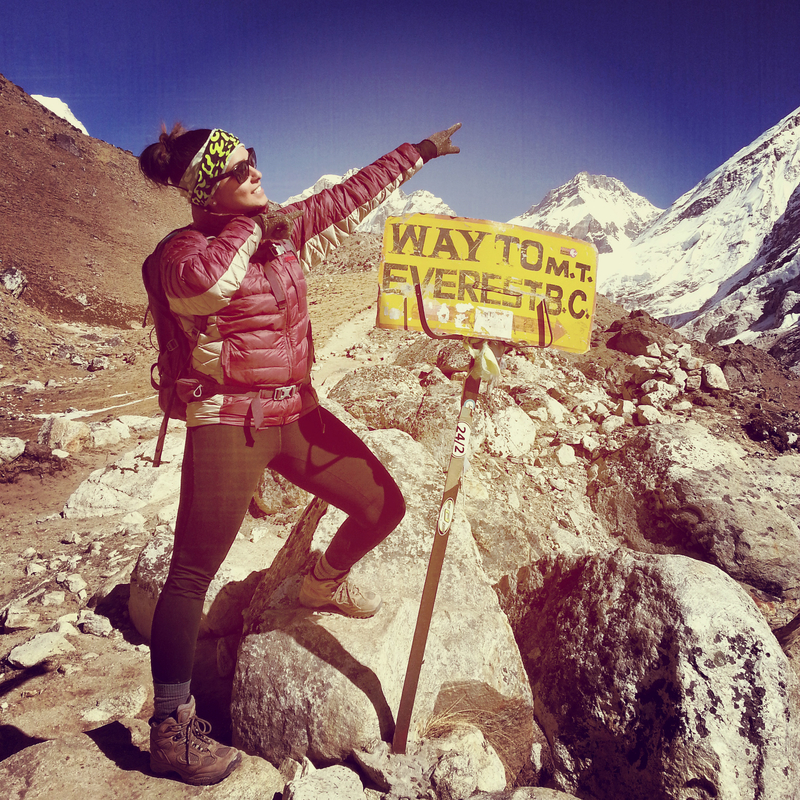 By the time she reached the Everest Base Camp, she had come to know it quite well. It really is a marvel how advanced human technology has come; the extent to which this is true, is borderline comical. For instance, the ability to be connected at all times in the strangest places. If you walk around Toronto and sporadically stumble into one of its many cafés, chances are you’ll be able to check your email. Walk into a pizzeria and you’ll be able to engage in some Tinder-swipping while you wait for your slice to pop out of the oven. In the Himalayas, you can pop into a teahouse and start a business. As much as she was living in the moment during the trek, Lua couldn’t help keeping up-to-date with the start up of Surfset. Along the mountain path, she stopped by every single tea shop with smart-phone in hand and connected to WiFi. Despite having organized and dedicated co-owners taking care of things in Toronto, she jumped at every opportunity to keep involved. The climb itself obviously wasn’t challenging enough for her. That’s not to say that the hike was easy; the climb was difficult to be sure. In preparation, Lua put her body through several months of arduous endurance and strength training. On her second day, despite her physical conditioning, she found that her asthma still caught up to her and she wasn’t able to keep up with her group. 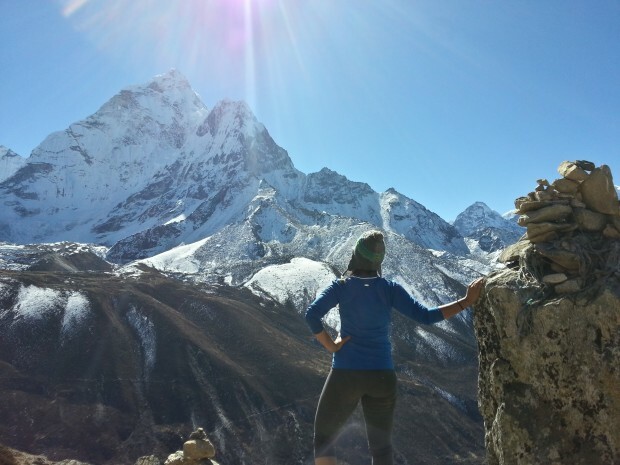 By the time she arrived at their first acclimatization point, (called Namche Bazaar), her group had already been there for a full hour. This was just the beginning however; they had a good week of hiking left and it did not take long before things started to even out amongst the group. Khoi is an artsy, bohemian, former-traveller in his late twenties. He enjoys adventure, feeling lost, being healthy, and looking good. An intellectual who relishes in frank discussion, his friends describe spending time with him as ‘refreshing.’ Despite a highly social existence during his university years and his early-to-late twenties, Khoi now focuses his attention on developing relationships with more strong-willed, and independent thinkers.